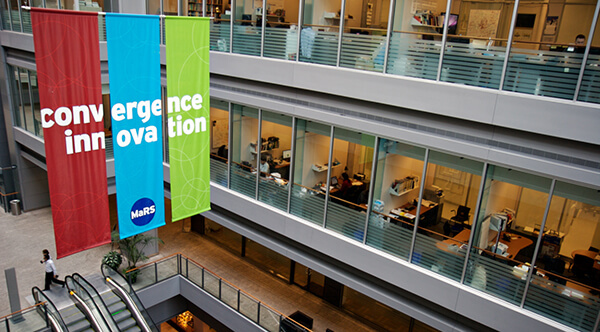 When you enter the MaRS Centre, you will see the phrase “convergence innovation” on the famous banners that hang in the atrium. The notion of collaboration—the action of working with someone to produce or create something—is definitely part of the MaRS mission too, since it is an essential component in how we help build and commercialize global companies. It challenges the common idea that the startup landscape must be a lonely and isolated place. Through programs such as the Entrepreneur’s Toolkit Workshops—where attendees can participate in hands-on workshops to build crucial components of their businesses, from business models to pitch decks—MaRS has created a platform for true collaboration where interaction is not only invited, it is inevitable. 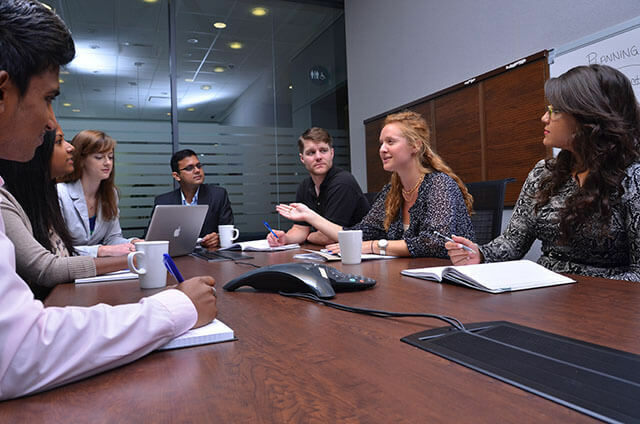 Through the 15-week Entrepreneur’s Toolkit Workshops Intensive Programs offered in the fall and winter, MaRS increases the opportunity for collaboration even further by bringing together cohorts of up to 30 startups. Making the far-reaching connection between a need and a solution is as crucial as demystifying Alexander Osterwalder’s business model canvas, It proves to be challenging for many new entrepreneurs. Ideas that are not shared are idle; they cannot be examined, tested or validated by others. Collaboration within these cohorts opens the doors for founders and their startups to be challenged and questioned and while building business components with the support of MaRS facilitators—who are also experienced entrepreneurs—the attendees also learn from each other. Collaboration in workshops is fuelled by a mix of startup expertise, industry challenges and personalities. Startup expertise: Everyone works on something completely different and has their own set of challenges and triumphs to share. Industry challenges: Solutions developed from startups in different industries can be repurposed and can hold truth for others. This can save time and money over the long run and create industry best practices. Personalities: Wherever you go, you will need to be able to deal with and work alongside different personalities. When collaborating, it is important to manage personalities both internally and externally, and when done effectively it can yield great partnerships and successes. This year, more than 3,000 workshop attendees across Ontario received over 10,000 hours of entrepreneurship education, yielding thousands more interactions. Would you like to get the support of other entrepreneurs in launching your next venture? Visit the Entrepreneur’s Toolkit Workshops page of the MaRS website to learn more about the workshop programs and the sessions offered each month at MaRS and other partner organizations in the ONE Network.